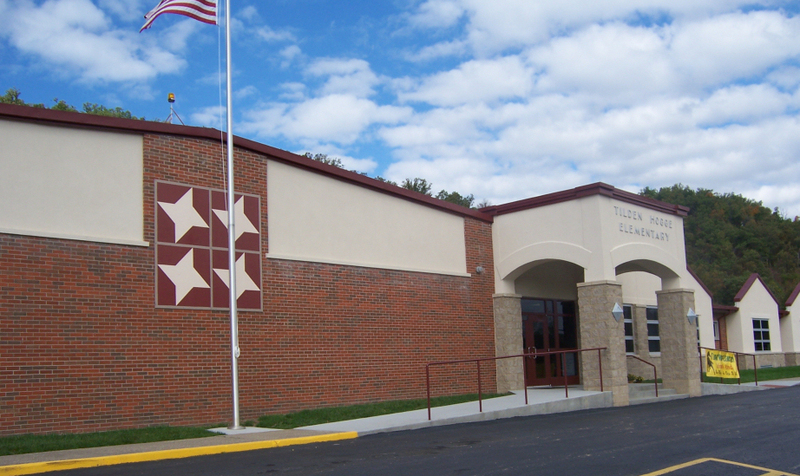 The Tilden Hogge Elementary School in Morehead, Kentucky in cooperation with the Rowan County Foothills Quilt Trail and The Sheltowee Environmental Education Coalition is developing an exemplary project demonstrating how the art of quilting can be incorporated into the curriculum of an elementary school. See above quilt square painted by the students of Tilden Hogge. Principal Debbie Howes is chairing this project and working with other public and private schools to develop the resources and tools to complete this program. This project is funded by a grant from The Lucille Caudill Little Foundation to the Foothills Quilt Trail through the Sheltowee Environmental Education Coalition . Coloring existing quilt patterns in class for K-5 grades. Quilt pattern pages will be complied into a quilt banner by Quilt Club members in 4th and 5th grades. Quilt Club will meet after school on Thursdays from 3:30 t0 4:30 (quilt club curriculum will include History of Quilting, History of Quilt Patterns, and Quilting Instruction). Local quilters will be asked to bring examples of their quilts and tell about their personal quilting history. Quilt Club members will journal their weekly experiences. Evening quilt class for adults and student members of the quilt club and others. This can be offered in partnership with FRYSCK on Reading Night. Reading/Activity Night with a quilting theme. Quilting demonstrations and hands-on activities for parents and children. Quilt book available to read or read to students. Teachers will be provided a folder of quilt lesson plans related to math, history, art, language arts, and social studies. Lessons include pretest/posttest. Each teacher will be asked to use one book about quilting for a Language Arts lesson: Incentive– Teacher receives classroom copy of book. Gifted and Talented class lesson during African American Month The African American Experience: A Research Quilt.